We are pleased to share that our coverage is rapidly expanding to meet the varying needs of our brand and retail partners. 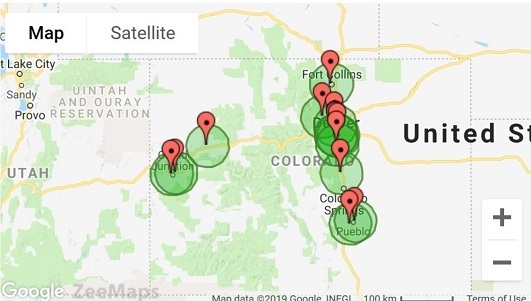 The map below shows Brand Ambassador locations and travel areas in Colorado. From natural and conventional stores to road shows and multi-day expos, we have you covered!